In 1970 Transogram decided to put 3 players on their mini statue players instead of just one. 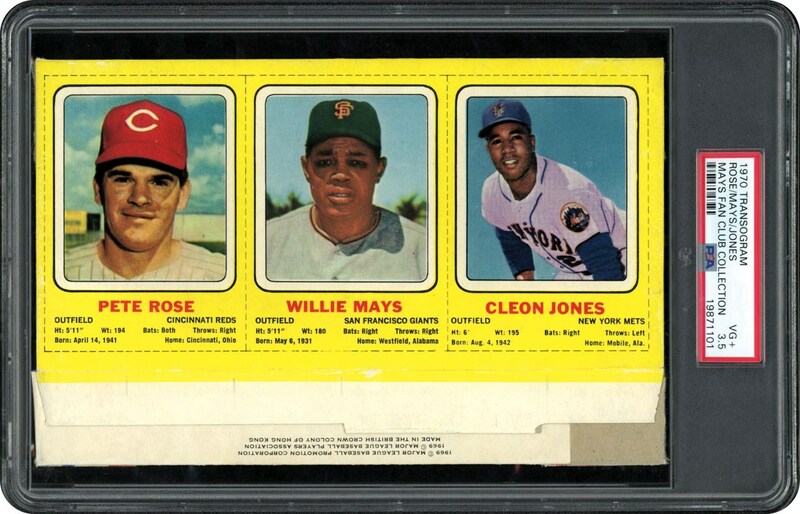 This offered 3 Player Panel Complete Box has Rose, Jones and MAYS on the back. 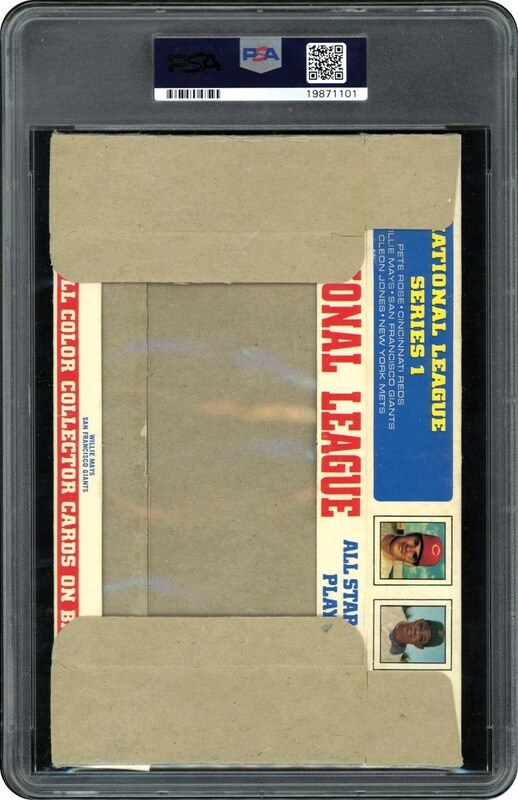 Graded a 3.5 VG+ by PSA, this is the one and only highest graded copy in the hobby.